Micro-needling also known as Collagen Induction Therapy is a revolutionary way to stimulate and re-program the function of your skin. 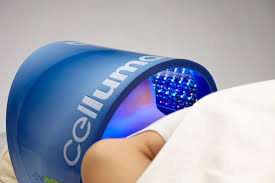 It creates micro channels into the skin which stimulate your cells to produce collagen and aid skin regeneration. As a result new collagen is formed and new skin cells are generated. A Micro-Needling course usually leads to a smoother, healthier and younger looking skin. The number of treatments you need in your course will depend on the result you’re looking for however a course of three procedures (minimum) is recommended for optimum results. 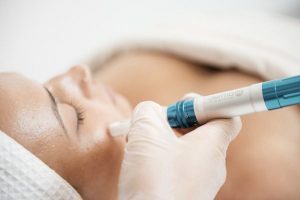 Please note: We recommend a minimum of 2-3 Performance Skin Treatments to improve the health of your skin prior to a Micro Needling treatment. This is to ensure that you get the best results from your treatment. A skin that is healthier will heal and respond best to micro needling. 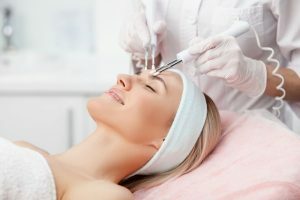 LED is a non-invasive treatment that harnesses the power of light waves to naturally stimulate skin rejuvenation and resolve problem skin conditions. Our LED is FDA approved as a medical grade device that uses wavelengths that are scientifically proven to maximise skin function and cell rejuvenation without abrasive chemicals, harmful UV-rays or side effects. In summary Low-level light therapy is a safe, effective and convenient way to achieve a healthy, youthful glow in a natural, non-toxic, non-invasive manner. A pain free 30 minute treatment. It feels like your relaxing in the Sun only without the bad rays. You leave with your skin feeling brightened and revived with cellular changes happening for days beyond the treatment. LED can be used as often as every 48 hours. We initially recommend a course of 2 per week for 4 weeks depending on the desired results or skin problem we are treating. Known as the non-surgical face lift this 45 minute treatment utilises an FDA clinically proven microcurent to work out the facial muscles. It is the best treatment choice for toning, firming, and lifting of the facial and neck muscles. The use of micro-currents stimulates facial muscles to lift and tighten the skin and in combination with our medical grade LED Light Therapy you will experience maximise skin function and cell rejuvenation. For best results we advise an initial course of weekly treatments, followed up with monthly maintenance sessions. For more information please contact the clinic on 02838318280 or email us.